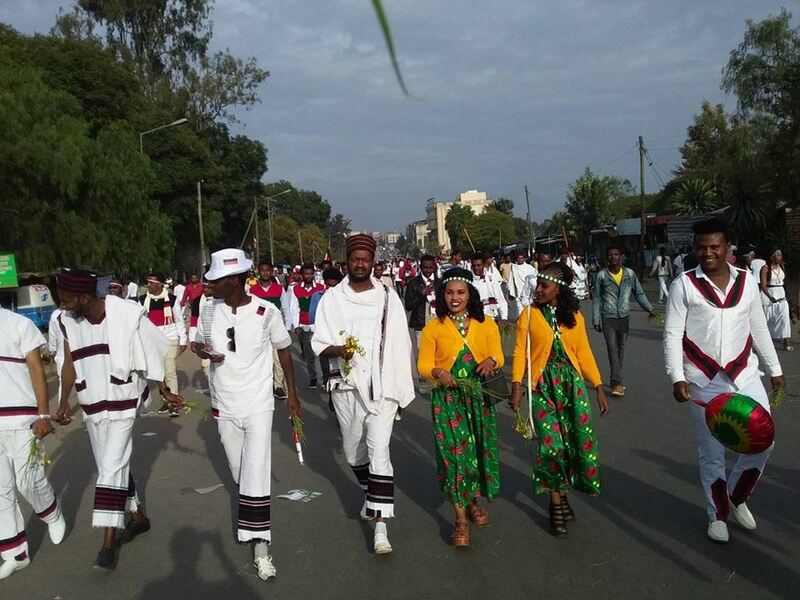 Oromia: Irreechaa, a Festival That Promotes Unity and Peace, is undertaking in Bishoftu. (30 September 2018) Irreechaa, one of the intangible heritages of the Oromo nation, is colorfully happening in the presence of a large gathering by Lake Hora-Arsedi in Bishoftu town right no. On this day (normally falls at the end of September or beginning of October), many Oromos come to the river or the sea or the lake with an outlet that has since long been chosen to be the place for such thanksgiving celebration. Irreechaa comes on the following of Meskel, which comes in tandem with New year. September proves a month where cultural and religious festivals are celebrated one after the other. Hence Irreechaa is one of the jewels in the crown of September. In the traditional religion of the Oromos, the spirit is the power through which Waqaa (The Almighty God) governs all over the world. Thus, Oromos believe that every creation of Waqaa has its own spirit. 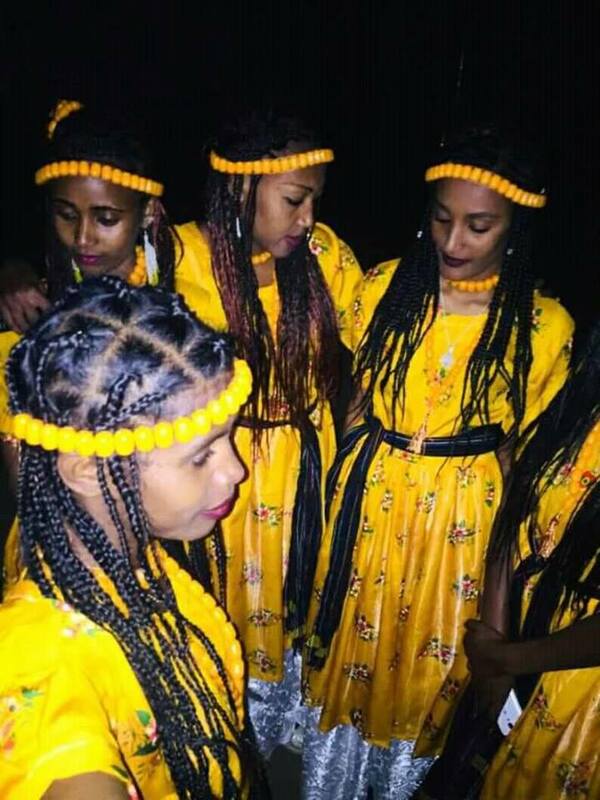 Traditionally, the Oromo practise Irreechaa ritual as a thanksgiving celebration twice a year,on autumn and spring, to praise God for peace, health, fertility and abundance giving regards to people, livestock, harvest and the entire Oromo land. Irreecha is celebrated as a sign of reciprocating God in a form of providing praise for what they got in the past. It is also a forum of prayer for the future. In such rituals, the Oromo gather in places with symbolic meanings, such as hilltops, riversides and shades of big sacred trees. Irreechaa is celebrated on Sunday that comes following Maskal, the finding of the True Cross. Irreechaa is one of the intangible heritages of the Oromo people. It is an open air festival where millions gather to thank “Waaqa “or God. Irreecha is one of the most colourful and beautiful Oromo National Cultural event that has been celebrated throughout Oromia. At State level Irreechaa is celebrated in Bishoftu Town in Oromia at Lake Hora Arsedi. 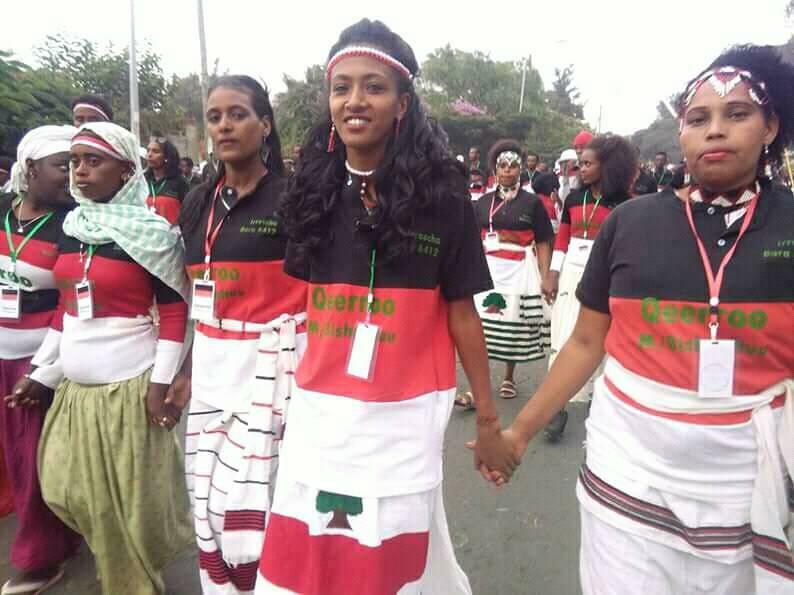 It is important to note the Oromos celebrate the Irreecha irrespective of their religious backgrounds. Whether they are Waaqeffataa, Christians or Muslims they participate in the festival. On the festival Community leaders and Aba Gada’s praise God for the blessed transition from the rainy season which is normally considered gloomy to the bright and colorful season autumn. The costumes the Oromos put on in different designs lend color to the vibe of the festival. This is one of the things that make the ceremony worth attending. Most of all, they believe that this spirit (through which Waqaa is supposed to govern all over its creature) wallows over the sea and the great rivers of our world. And also, they do believe that the peak of the mountain is holly in nature, and that it serves as a host to the spirit of Waqaa. Thus, the Oromos usually go to the river or to the mountain during the time of their worshiping rituals, or during Irreessaa celebration. The celebration is an indigenous Oromo knowledge which has been practiced for centuries now. The Oromo People consider the winter rainy season of June to September as the time of difficulty. The heavy rain brings with it lots of things like swelling rivers and floods that may drown people, cattle, crop, and flood homes. Also, family relationship will severe during winter rain as they can’t visit each other because of swelling rivers. In addition, winter time could be a time of hunger for some because of the fact that previous harvest collected in January is running short and new harvest is not ripe yet. Because of this, some families may endure food shortages during the winter. In Birraa (Spring in Oromo land), this shortage ends as many food crops especially maize is ripe and families can eat their fill. Other crops like potato, barley, etc. will also be ripe in Birraa. Some disease types like malaria also break out during rainy winter time. Because of this, the Oromos see winter as a difficult season. 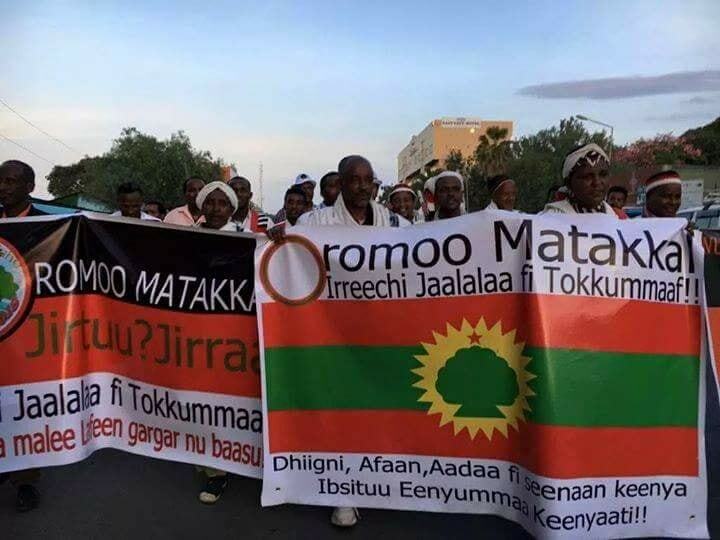 It does not mean the Oromo People hate rain or winter season at all. Even when there is shortage of rain, they pray to Waaqa (God) for rain. The Oromo People celebrate Irreecha not only to thank Waaqa (God) but also to welcome the new season of plentiful harvests after the dark and rainy winter season associated with nature and creature. On Irreecha festivals, friends, family, and relatives gather together and celebrate with joy and happiness. Irreecha festivals bring people closer to each other and make social bonds. Moreover, the Oromo People celebrate this auspicious event to mark the end of rainy season, known as Ganna, was established by Oromo forefathers, in the time of Gadaa Melbaa in Mormor, Oromia. The auspicious day on which this last Mormor Day of Gadaa Melbaa – the Dark Time of starvation and hunger- was established on the Sunday of last week of September or the Sunday of the 1st week of October according to the Gadaa lunar calendar has been designated as National Thanksgiving Day by modern-day Oromo People. In Waqeffannaa religion thanksgiving-Irreecha, the Qaalluus (spiritual leaders) and the Abbaa Malkaas (lineal chiefs of the areas) are at the top hierarchies. In the Qaallu religio-ethics, the Qaalluus give religious instructions and directives of the where-about and the time of the implementation of the rituals. Posted on September 30, 2018, in News and tagged Bishoftu, Hora, Irreechaa, oromia, Oromo, Oromo Thanksgiving Day. Bookmark the permalink. Leave a comment.